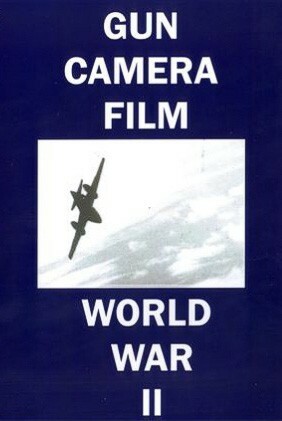 Film #1 - Gun Camera Film from ETO, MTO, ETOC, and PTO - ETO: B-17s, B-24s, P-47s, P-38s, P-51s, ME-109s, FW-190s and German jets in combat. Includes 8th Air Force gun camera highlights of 1944. MTO: 12th Air Force P-47s in Italy fly over the ruins of the Berghof. ETOC: 9th Air Force P-47s, P-38s and P-51s in action over the skies of Europe. PTO: Navy carrier planes and AAF P-51s battle the Japanese in the Pacific. Includes rare color film of an ME-262 kill. Run-time is 80 minutes (60 minutes in color). Film #2 - The EarthQuakers - Air Force B-25s pound the Axis in North Africa. Run-time of 20 minutes in color. Total run time for Gun Camera Film WWII Color P-38 P-47 P-51 DVD is about 1 hours, 40 minutes in color and B&W. Format is NTSC DVD.